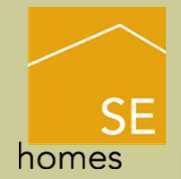 SE Homes is a provider of manufactured and prefabricated homes to people in the South Eastern and South Central US. Its website (SEHomes.com) lets you go through more than 200 different floorplans until you find one that suits both your needs and your tastes. You can choose how many sections you want your home to have, its square footage and its number of bedrooms. And you can also specify how many bathrooms you want your home to have. And the site also comes with a dealer locator that lets you find trustworthy retailers just by providing your ZIP code, and making it clear how far you’re willing to travel just to talk to them. Besides, the site includes a mortgage calculator that lets you quickly understand all the expenses that would go with buying any of the prefrabricated homes that are featured on the site. And in case you reckon you haven’t got that much experience as a buyer yourself, then you can always check the provided buyers guide and realize what to look out for. And the site also includes a section where you can read nothing but investor documents. Annual and quarterly reports, press reports, SEC filings… it’s all there, for you to understand where the company’s come from, and where it’s headed for. And which role you could eventually play in all that.